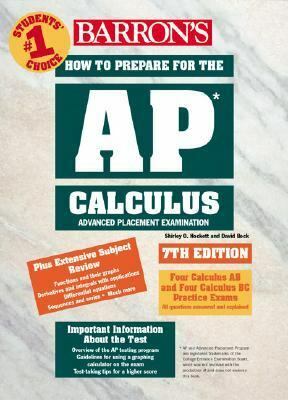 This updated manual offers four practice exams in Calculus AB and four more in Calculus BC, all with answers and explanations. Extensive review sections cover functions and their graphs, derivatives and integrals, differential equations, sequences and series, and many applications. Students will also find important information about the AP testing program and guidelines for using a graphing calculator on the exam. Test-taking tips help students get higher scores.